Home Gadget Review How to Unlock ZTE Falcon Z-917 (T-Mobile)? How to Unlock ZTE Falcon Z-917 (T-Mobile)? Unlocking of ZTE Falcon Z-917 (T-Mobile) is now supported by code. 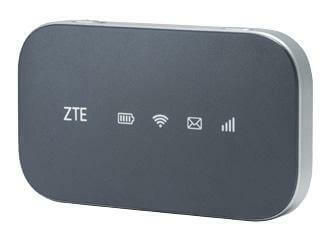 ZTE Falcon Z-917 is a new hotspot router from ZTE that is sold by T-Mobile network of U.S.A. It is currently available with different offers : 6GB data for $35, 10GB for $50, 18GB for $80, or 22GB for $95. ZTE Falcon Z917 has a small plastic box that measures 4.1 x 2.4 x 0.6 inches (HWD) and weighs 4.23 ounces. The Z917 has a removable 2,000mAh battery, a micro SIM card slot, and a micro-USB port that’s used both for charging and connecting to PCs. There’s no external antenna jack. Inside, the Z-917 has the Qualcomm MDM9225 chipset. It is an LTE Category 4 WiFi router that supports maximum download speed up to 150Mbps and upload limit is 50Mbps. It features LTE bands 2/4/12, it’s designed to only work on T-Mobile’s LTE network, not on AT&T’s or any foreign networks. It supports 802.11n with WPS pairing. Like all hotspots, the Z-917 has also a Web-based management console that lets you change basic router settings. You can set up MAC filtering, port forwarding, port filtering, and UPnP. It can provide up to 6hrs of battery life in 4G LTE mode. Since, Z917 comes locked to T-Mobile operator, to able to use with any other SIM card, you need to unlock it. 1. 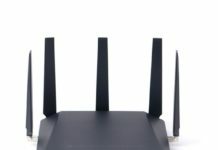 Switch off the ZTE Falcon Z-917 WiFi router. 2. Change the T-Mobile SIM card with any other operator. 4. Browse its default IP address (192.168.0.1). Note: If the device is not able to browse the default page of the router, open My Computer >> Virtual CD-ROM, and install on PC. You can also download ZTE Falcon Z-917 drivers. Note: NCK / SIMlock / Unlock code of ZTE Falcon Z-917 is not free. While paying mention the IMEI in the transaction. Correct code will be emailed. Previous articleHow to Unlock ZTE R209-Z (R209z) Vodafone?